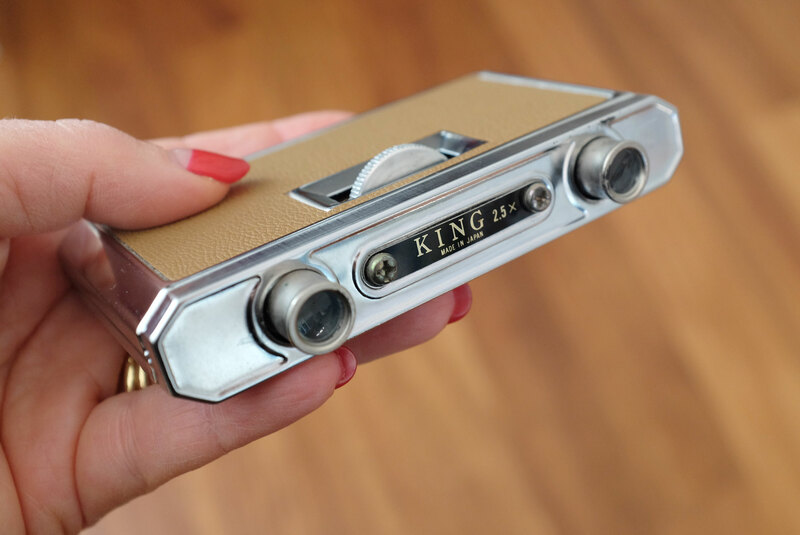 As many of you know, I love finding new interesting and clever gadgets, so I have decided to combine this love of a good gadget, with my more recent passion of vintage, and start a series of posts about interesting vintage gadgets I find on our travels. Doing this also adds a bit of fun for me when we are out and about…kind of like a treasure hunt! So for the first inaugural post, I am featuring this…. Now the title of the post gives it away somewhat, but would you have known what this was at first glance…I didn’t! But it all became clear when I pushed the button to open it…. And voila…a set of folding opera glasses, or what we would call nowadays binoculars…for use at performance events, such as live shows and operas. 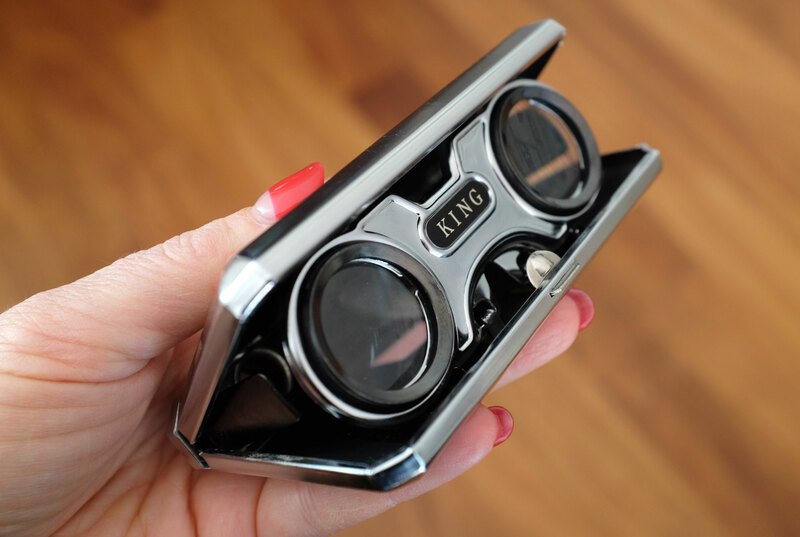 These particular folding opera glasses are made by a Japanese company called King…I did a bit of online research to find out more about King and this particular model, but doesn’t seem to be much information available. They have a rather low magnification of 2.5, but apparently magnification of below 5× is a usual requirement for these sort of glasses as it minimizes image shake, and provides a large enough field of view. I found these at Vintage Garage in Fitzroy and after checking eBay etc, I found that the price I paid of AUD$40 is slightly on the higher side, especially as these came with no box or case. However, they are in quite good condition, and the focusing wheel still works. 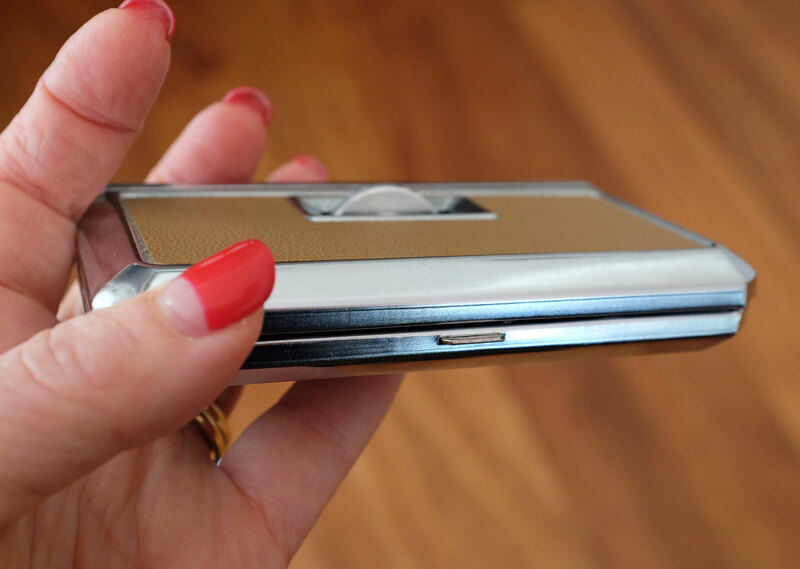 I have to admit I love these and think the design of the folding opera glasses is very ingenious, and is something that still works for our modern times. They fold up so neat and tidy, and can be slipped into a bag or pocket…I am going to take them to the next live show we go to and try them out! Do you know any more about these folding opera glasses, especially what year they date from? Please share in the comments below as I would love to know! « Wearing the same outfit every day….genius or boring? » The Bali Nine Dilemma…Can People Change?